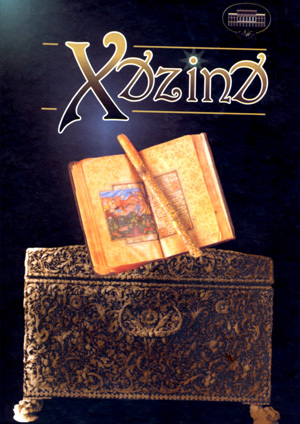 Khazina (Treasury) - Collection of cataloques of the National Museum of Azerbaijan literature named after Nizami Ganjavi of ANAS gives complete description of various archives and collections, private funds of outstanding representatives of literature and culture kept in the museum funds and demonstrating in the permanent museum exposition. It supplements the list of the “Quintuple”. The given issue presents valuable museum exhibits dedicated to the corypaeus of national theatrical art Sidgi Ruhulla, Abbas Mirza Sharifzade, Ismail Hidayatzade, Khurshid Khanim Gajar and Aleksander Tuganov. Memorial legacy of aforementioned personalities who really loved their job was emerged for the first time in the cataloque.According to manuscripts, memorabilia, original photos, unique playbills and programmes kept in the Museum funds the readers can get acquaintance with life and creative activity of these prominent personalities. Statements about A.Sharifzade: Abdurahim bay Hagverdiyev, Jafar Jabbarli, Huseyn Javid, Azim Azimzade, Taghi Shahbazi, Sabit Rahman, Afrasiyab Badalbayli, Fatma Gadri, Suleyman Rustam, Jafar Jafarov and Ilham Rahimli. Playbills, programmes and the list of Kh. Gajar’s songs. The books: Mirza Fatali Akhundov’s “The deceived stars”, Nizami Ganjavi’s “Seven beauties”, M.S.Ordubadi’s “Nizami ”and etc.